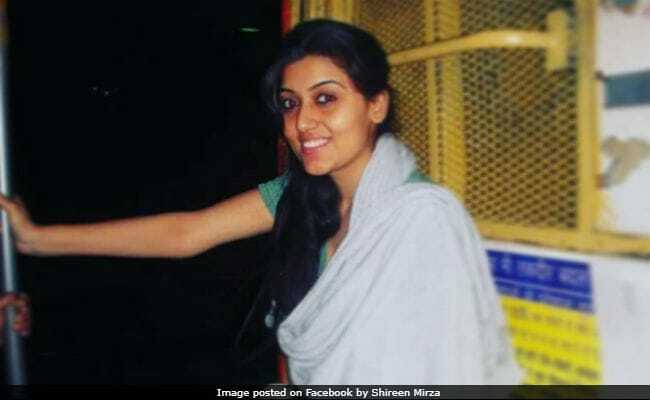 Shireen Mirza wrote in her Facebook post, "I don't deserve to get a house in Mumbai because I'm M B A"
Television actress Shireen Mirza, who currently plays Simmi in show Yeh Hai Mohabbatein, revealed through her Facebook post that finding a home in Mumbai has been an unpleasant experience for her. Shireen blamed her 'M B A' status - Muslim, Bachelor and Actress - as a reason behind her struggle. The actress posted a picture of her from the time when she first arrived in the city and captioned it, "I don't deserve to get a house in Mumbai because I'm M B A. This photograph was taken when I came here with a dream of living in Mumbai and now after spending almost eight years in this city, this is what I get to hear." Supportive comments from fans, family and friends have been pouring in on Shireen's Facebook post. Shireen Mirza hails from Jaipur. Talking about the struggle that she often faces while house hunting, Shireen said that despite being a non-smoker and non-drinker and an individual with no criminal records, she ends up getting judged on the basis of my profession. "Yes I'm an actor and I do not smoke or drink and I have no criminal records. So, how can they judge my character on the basis of my profession??" "How ironic," she says pointing out that a city, which never sleeps and 'takes pride in itself on its cosmopolitan character, is divided on basis of religion, profession and marital status??' "I'm shocked to see that Mumbai which has given me so much that I don't stop praising about Mumbai by calling it Aamchi Mumbai still doesn't have a place for me and so many of us coming from out of town still struggling with identity crises," read an excerpt from Shireen's Facebook post. In her a career spanning eight years, Shireen has featured in shows such as Dharamkshetra, Dhhai Kilo Prem, 24 and films Main Nahin Anna, Not Today and Vartamaan. Yeh Hai Mohabbatein headlined by Divyanka Tripathi and Karan Patel, also features Anita Hassanandani and Aly Goni in prominent roles. Yeh Hain Mohabbatein is produced by Ekta Kapoor.